Color Blocking I is a three color triangle shawl pattern worked sideways in garter stitch. 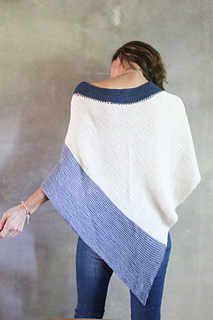 It’s a great and simple knitting pattern for beginning shawl knitters and the perfect project for some serious stash busting! 55 x 31 in (140 x 80 cm) after blocking. Size is adjustable.